“Back pain? Never heard of it!” – said no one ever. As I mentioned in my first post about back pain, almost everyone will suffer from it at some point in their life. For this reason, I’ve decided to post another 5 tips that could help if you’re suffering. (In fact, if you said I’m a back pain junkie, you’d probably be right). 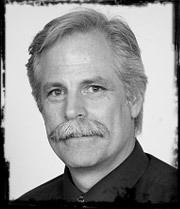 Whether it's the lower back or mustaches, you listen when Stuart McGill speaks. So, once again, below are some tips that hopefully can help decrease your back pain, complete with the science that may put you to sleep. Also, if you’d like to take a look at my first post on this subject, you can do so by clicking here. Change your sitting position every 10 minutes – Contrary to what you may think, there’s actually no ideal way to sit in a chair. I touched on this fact in my last post about back pain, but wanted to expand on it a bit here. When you sit in one position for too long (think of yourself as being hunched over at a computer) you accumulate microtrauma in your tissues. This microtrauma can then increase your risk of other problems, including soft tissue creep (another way of saying your on your way to a herniated disc). As Dr. Stuart McGill has pointed out, if you need to sit, change your sitting posture every 10 minutes, so the loads on your tissues can be varied. Side sleeper? Put something between your knees – This tip may be more applicable for women due to the increased Q angle (a special way of saying women have wider hips that alter the angle of their femurs to their knees), but it’s good to try if you suffer from back pain. If you’re a side sleeper, your top leg will be in adduction, which is often associated with lateral pelvic tilt. Why’s that a problem? Imagine your lumbar spine being bent towards one side for hours on end while you sleep, and suddenly it makes sense why your back may not be feeling great. If you’re going to continue sleeping on your side, try putting a pillow between your legs, which should decrease your hip adduction and the tilt on your spine. Stop crossing your legs – Once again, this may be more applicable to women, but if you sit with your legs crossed, please stop. You are placing shear forces on your SI joint, not to mention you probably put yourself in lateral flexion. Neither scenario is what you’ll want if you have a cranky back. Plus, I’m far from being a member of high society, but it seems as if sitting with your ankles together may be more polite. If it hurts your back, don’t do it – This saying is a take on one of the more popular ones from Mike Boyle, and in my opinion, is simple and brilliant. I can’t tell you how many people will perform a specific exercise, only to be in pain while doing it, or in pain the next day. Just last week I had someone tell me their lower back was hurting them during a trap bar deadlift. After a few minutes, I come to find out that it hurts them every single time they do it, they just failed to tell anyone! On this note, if you’ve had a bad experience with a certain movement or exercise, don’t try it even if your back is starting to feel better. Why? Think of that movement as picking a scab. Once you pick that scab, you may have to wait even longer for it to heal correctly. Safe to say, if something hurts your back, just don’t do it. The line of pull of your muscles on your spine. Nerds not needed. Don’t pick things up with a rounded back – “Don’t lift with your back, lift you’re your legs.” Well, technically, that's not correct advice, as lifting something off the ground will always require some back bracing or movement, but what we want to avoid is having your back rounded, or in lumbar flexion. Why? Well, besides looking gross, there’s actually a reason! 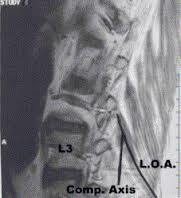 Two muscles, your iliocostalis and longissimus are located along your spine in your upper and lower back. In your lower back, these two muscles have an amazing ability to keep your spine tight and correct as it corresponds to their line of pull. However, when you hunch your lower back, these two muscles lose this line of pull, and you essentially have very little preventing one of your discs from poking out.